Posted by Amanda Hicks on Tuesday, March 27th, 2018 at 2:25pm. 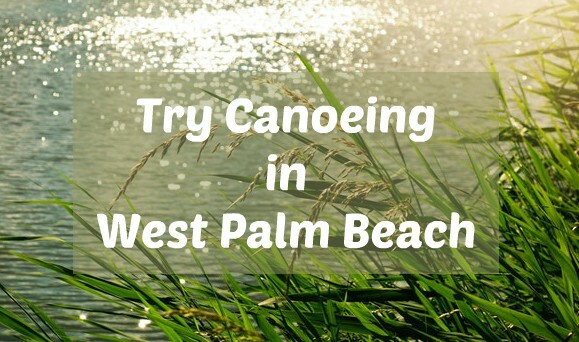 Locals have the opportunity to join in on a canoe cruise through Grassy Waters Preserve in West Palm Beach every Saturday. The City of West Palm hosts a group tour along the 23 square-mile preserve while a guide tells paddlers about the history and ecology of the area. The cruise is through one of Florida's cleanest reservoirs on the preserve which also serves as a source of drinking water to residents of West Palm Beach. It's only $10 for adults and $5 for kids ages 6 and over to participate in the fun! You'll need to sign up with a partner because it takes 2 to paddle in a canoe. The cruise starts at 10 a.m. and takes about an hour and a half to complete. You're asked to check in at 9 a.m. at the Nature Center, which by the way, is also a great place to hang at after the cruise. It has features like a boardwalk and rocking chairs so you can enjoy viewing nature untouched. Reserve the next open spot on a tour and explore the organic parts of Palm Beach County. Call 561-804-4985. 8264 Northlake Blvd., West Palm Beach, FL 33412.